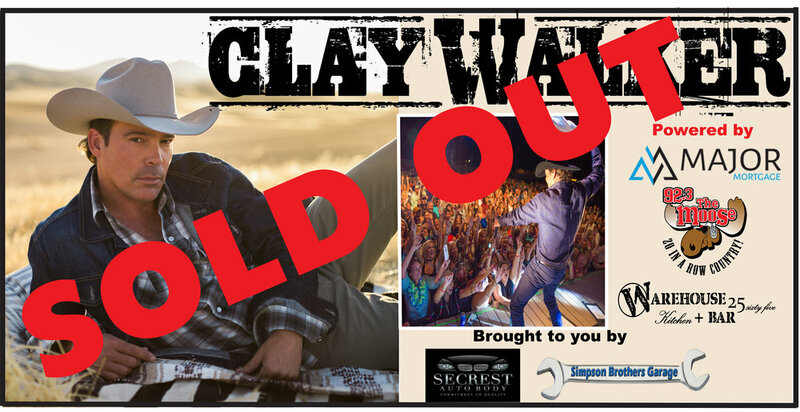 A ‘MAJOR’ Show with Clay Walker set to light up the Warehouse stage! Powered by Major Mortgage and 92.3 The Moose. This show is sure to sell out fast so get’em while they are hot!